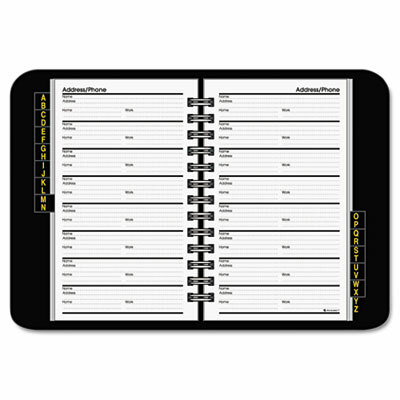 Organizes contact information in a handy format. Single letter alpha tabs get you to entries quickly. Wirebound, flexible simulated leather cover with single letter tabs.